So, to recap for the umpteenth- hell, just see here. The question is this: How did Marty’s Mash Note to the Boston Public Schools wind up as a full-page ad in last Wednesday’s Boston Globe? THE BOSTON GLOBE FOUNDATION donated a full-page ad in Wednesday’s newspaper to Boston Mayor Marty Walsh so he could thank the staff of the Boston Public Schools at the close of the school year. Ellen Clegg, who heads the foundation, said the mayor personally asked Globe CEO Mike Sheehan for the ad space and the foundation provided it because the message was in keeping with the organization’s focus on education and literacy. C’mon – “[donating] an ad to the Boston Public Schools pro bono” and kowtowing to the mayor of Boston aren’t even in the same zip code. • When you donated the ad to the Boston Public Schools, did you know it would take the form of a letter from Mayor Walsh? • Who did the creative/production of the ad? • Given the ad’s content, did you have any concerns that it would appear you donated the ad to Mayor Walsh, raising questions about the appearance of compromising the Globe’s arm’s-length relationship with him? The Globe’s newsroom is independent from the business side of the organization, and from the Globe Foundation, and had no involvement here. I’m sure you’ve seen the newsroom’s recent scrub of Mayor Walsh’s hiring record (link below). I have confidence that our journalists will continue to scrutinize public officials and powerful institutions, including City Hall. Frankly, we’re more interested in scrubbing Ms. Clegg’s record of telling the hardreading staff one thing and CommonWealth another. From the start of John Henry’s dual ownership of the Boston GlobeSox, the paper pretty consistently ignored conflicts of interest in his business dealings with the Menino administration (see here and here). If Henry is now dancing to Marty Walsh’s tune, he should own up to that, too. That got the headscratching staff to wondering who paid for Marty’s Mash Note to the Boston Public Schools. So we sent a note to the Boston Globe Foundation (see lower left in the ad) asking just that: Did Mayor Walsh (read: Boston taxpayers) foot the bill? Did the Globe Foundation? Did no one? (The hardquizzing staff followed up with an email that asked Ms. Clegg these questions: 1) When you donated the ad to the Boston Public Schools, did you know it would take the form of a letter from Mayor Walsh? 2) Who did the creative/production of the ad? 3) Given the ad’s content, did you have any concerns that it would look like you donated the ad not to the BPS but to Mayor Walsh, appearing to compromise the Globe’s arm’s-length relationship with him? Yes, well, Ms. Clegg might want to focus on her own message(s). Clearly, she gave us a mere bag of shells. Is Boston GlobeSox Owner John Henry Gettin’ Cozier with Marty Walsh? As the hardreading staff has noted on numerous occasions, the relationship between Boston Globe/Red Sox owner John Henry and the City of Boston (read: Tom Menino) over the past several years became increasingly – and profitably – chummy, from Landsdowne Street air rights to Fenway Franks. But this is something else entirely. Boston Mayor Marty Walsh has always struck the hardreading staff as deep-down a Boston Herald kind of guy. But you can’t tell by looking at the local dailies today. Of course this logo lower left in the ad might explain that. I produce the website It’s Good to Live in a Two-Daily Town and I read with interest Mayor Walsh’s full-page ad in today’s Globe. I also noticed that the Boston Globe Foundation logo was included lower left. Can you tell me if Mayor Walsh paid for the ad space? Or if the Boston Globe Foundation did? Or if any money changed hands at all? So far, we haven’t heard back from the Boston Globe Foundation. But we do know it’s headed by Linda Pizzuti, a.k.a. John Henry’s Missus. When I got to chat briefly with Linda [Pizzuti, Henry’s wife] after the Chamber breakfast, she described her role at the paper as “evolving.” Is there any greater sense of what exactly her role will be yet? Linda is fully engaged working on important issues for the Boston Globe. She is leading initiatives to activate our subscriber base connecting the Globe to the community. She is heading up the Boston Globe Foundation. And she serves on a number of internal committees that deal with real estate, circulation, social media and other business issues. She was the driving force behind our recently launched Globe GRANT program, which gave our subscribers vouchers they are assigning to non-profit organizations for advertising space in the Boston Globe. This program has been very warmly received by charitable organizations and subscribers. Anyway, we’re hoping to hear from the stately local broadsheet’s stately local do-gooders. Did Marty Walsh (read: Boston taxpayers) pay for yesterday’s full-page ad? Did Linda Pizzuti? Mike Barnicle? Nobody? Anyone at the Globe want to say? On Friday Boston Mayor Marty Walsh announced a long-overdue overhaul of the Jurassic Boston Redevelopment Authority, which Saturday’s edition of the feisty local tabloid reported with a big shootout to itself. Mayor Martin J. Walsh’s surprise shake-up of the Boston Redevelopment Authority — a move that saw its business development arm and 14 staffers axed — was hailed by critics as the first step in a long overdue overhaul of an agency notorious for its cronyism and backroom deals. herald.com — don’t go as far as Walsh’s campaign pledge to dismantle the BRA entirely, they are part of his overall strategy to shift economic development away from the independent authority and under the umbrella of a City Hall department that reports directly to the mayor. Of course, considering that bostonherald.com is the Lindsay Lohan of websites, it’s impossible to verify the paper’s “first reported yesterday” claim. But we can verify this: The Boston Globe, which is generally not shy about crediting the Herald when it scoops the stately local broadsheet, did not cite the Herald in its Saturday piece. The Boston Red Sox are engaged in yet another Fenway land grab, as the Boston Herald noted on Saturday. It appears Red Sox Nation can’t get enough of Fenway franks. The team is seeking city approval for a takeout concession on Lansdowne Street, near Gate C, that would be open during non-ballpark hours. “It would be located within the ballpark in a space next to the WEEI broadcast booth,” Red Sox spokeswoman Zineb Curran said. “It’s a new, small concession stand that would have its own entry door off of Lansdowne Street” . . . 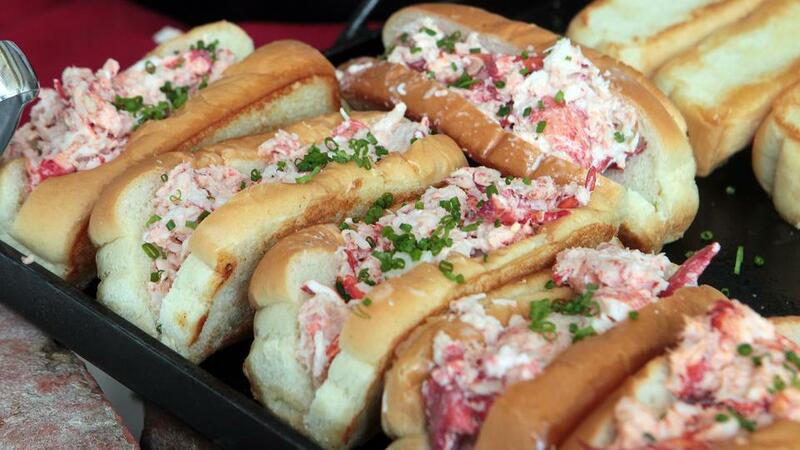 The team’s takeout concept is the latest in a string of non-baseball game money-makers designed to make the most of America’s oldest ballpark, which Red Sox owner John Henry this week said has a shelf life of another 30 years. The Boston Globe, as the hardreading staff has noted, did not cover this story on Saturday. Or Sunday. Or today. The stately local broadsheet did, however, report on that 30-year shelf life of Fenway Park. FORT MYERS, Fla. — There is an expiration date on Fenway Park, Red Sox principal owner John Henry said on Wednesday. But it won’t come due for another 30 years or so. The oldest ballpark in the majors is structurally sound and the only improvements left to make would be to renovate the press box and other areas in the upper section behind home plate. Yes, and someone should have addressed Henry’s ownership of the Boston Globe in that sunny-side-up piece last week. That’s two strikes in one week. Not exactly encouraging. Did the Globe Give a Mulligan to Tom Menino on Boston Development? Last Thursday, the Boston Globe ran this Page One piece by its highly respected architectural critic Robert Campbell. In his 20-plus years in office, Mayor Thomas M. Menino began as the healer of Boston’s neighborhoods. Over time, he morphed into the commander of downtown development. Of course I’m simplifying. But I think that’s the short story people will remember about this mayor and his impact on the architecture of the city . . . The mayor was involved in virtually every decision about architecture and urban design during his tenure. He wasn’t a visionary thinker, nor was he strong on aesthetics. But he was a master of detail who always seemed to know everything that was happening. He won’t be remembered for any single grand urban gesture. Instead, he presided over a multiplicity of lesser projects that, taken together, have changed the face of the city. For better and for worse, as Campbell’s piece makes clear. Then yesterday, the stately local broadsheet ran this Page One piece (dead-tree edition headline). When Mayor Thomas M. Menino took office in 1993, Boston’s downtown was in the grip of a recession. Construction had slowed to a crawl, retailers were struggling, and the elevated Central Artery still spewed exhaust onto a waterfront that was more gritty than glitzy. 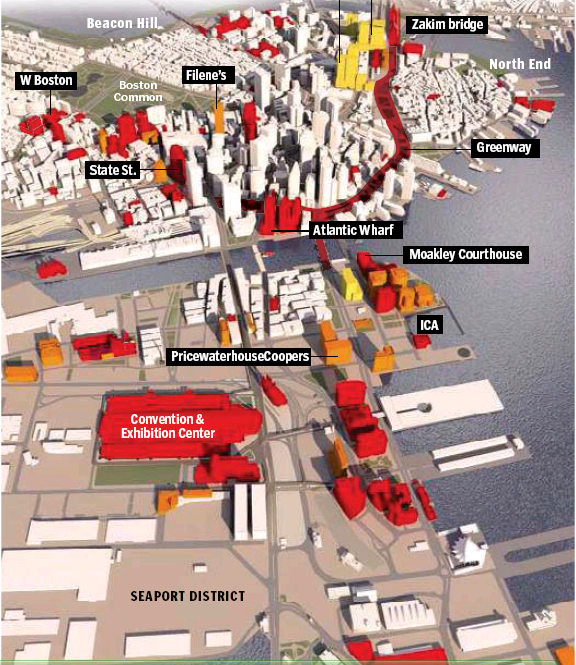 Then, an improbable chain of events unfolded: The Big Dig, massive cost overruns and all, replaced the rusting steel of the artery with a series of parks; people and new stores began moving back into the city’s core; and developers created bold plans for North Station, Downtown Crossing, and the South Boston waterfront. 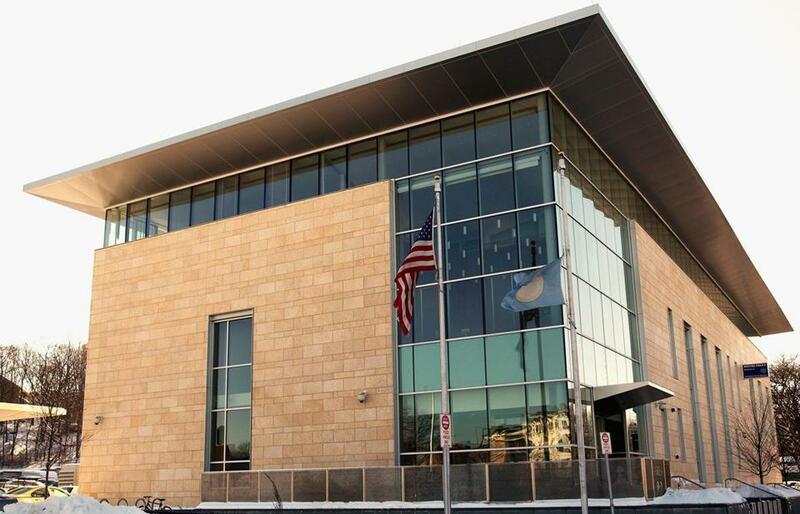 Today, those sparks of renewal are exploding in a historic spate of development, with more than 5,700 homes under construction and huge office, retail, and housing complexes rising from the South Boston Innovation District to Dudley Square. While he was not directly responsible for all of those projects, Menino played a central role in rebuilding a city that is now among the world’s top markets for real estate investment. That’s a very different picture, yeah?